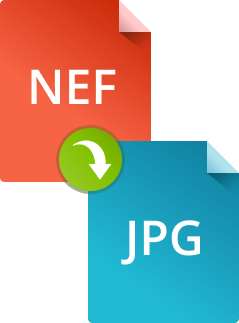 Wondering how to convert NEF to JPG? When it comes to taking photographs, we always want to keep the most memorable moments of our lives in the best possible quality images. That’s why many people buy professional cameras that promise great results. But, as it turns out, the best quality images are achieved with these cameras by keeping photos in a RAW image format, which can result in numerous problems. “RAW” implies that such images retain as much unprocessed visual information from the camera’s sensor as possible. It is great from the professional perspective, but for the everyday user, it means having much larger files and consequent problems with opening, editing, and printing such images. RAW is the generic name for the unprocessed image format; it may be named differently, depending on the camera manufacturer. NEF stands for Nikon Electronic Format which is the RAW image format used by Nikon, one of the most popular camera manufacturers. These files cannot be easily viewed on a computer and require the use of professional software, which is often expensive and hard to work with. The easiest way out of this situation is to convert the NEF files to a more universal image format, like JPEG (JPG). The flexibility of this format will enable you to easily view the photographs on almost any device and at the same time save space on your hard drive. 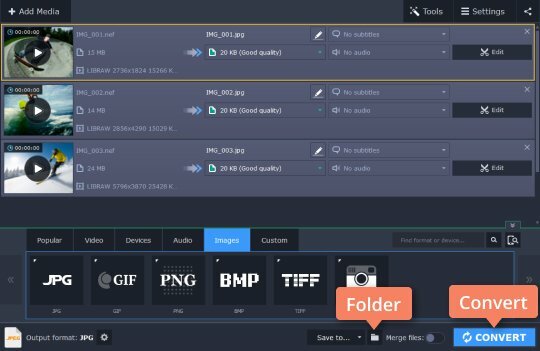 For a safe and effective NEF-to-JPG conversion, you will need a competent converting tool – Movavi Video Converter will easily handle this task! Despite its name, the program is capable of working with audio and image formats as well as video. 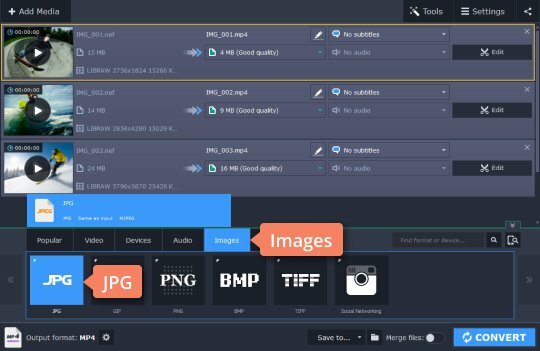 Easily convert your photographs between all popular image formats, including TIFF, GIF, PNG, and others. Convert your entire NEF library in the shortest time possible with the batch conversion feature. 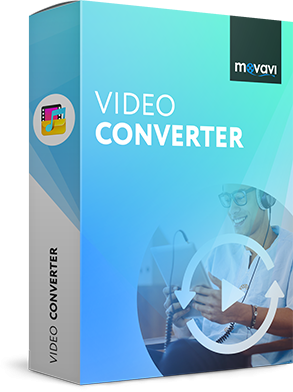 To learn how to do this, download Movavi Video Converter for Windows or Mac and follow the guide below. Download Movavi Video Converter, open the downloaded file and follow the on-screen instructions to install the program. Click the Add Media button, then Add Images, and choose the NEF images you need to convert. You can add multiple pictures and convert them all at once with the help of the batch conversion function. To convert NEF images to JPGs, open the Images tab, choose JPG, and select the only preset available. Click the Folder icon to specify the folder where you want to save your JPG files. Click Convert to begin the process. After the conversion is complete, the folder containing your files will open automatically. Now you can see how easy it is to convert NEF images to JPG. 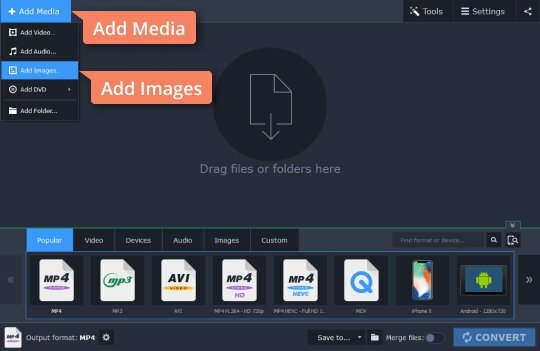 Movavi Video Converter is a quick way to convert any multimedia files on PC or Mac. Download it now and see what it can do for you!